70s Summer, Retro Separates Clothing Patterns - Close fitting halter top has U neckline, back buttoned closing and attached self halter ties. 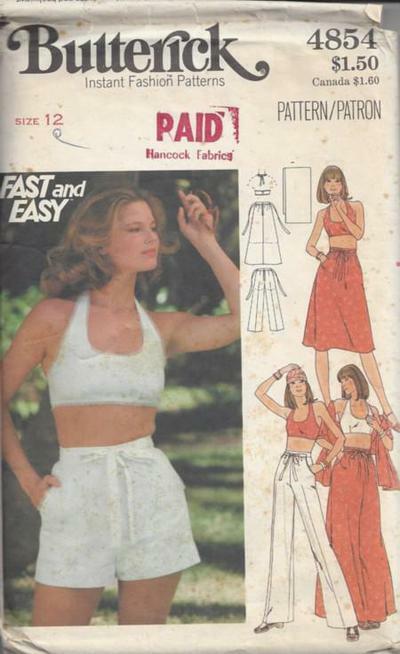 Skirt, in two lengths and straight legged pants or shorts, slightly gathered into waistband, have shaped front pockets and attached self ties. Purchased tatting trim. Oblong stole is self lined.